Buy it here: FREE for a limited time! One of the projects I’m most proud of this summer is the Wanna Be Bad Anthology. Our heroines are all a little older and more experienced than most, but they are ready to spread their wings and discover life! How many of us were too busy when we were “typical” romance heroine age to try things, experiment…enjoy! In the world of working women and glass ceilings, these heroines have kept their eye on the prize. Until now. The prize has suddenly shifted, and they’re ready to break the rules, and get wild. From past loves, to forbidden strangers, these good girls are swooning for bad boys, and you’re invited to join in. Featuring stories from: Adaline Raine, Elizabeth Kirke, Ever Coming, Kate Richards, Katherine Deane, Kayleigh Malcolm, Krista Ames, Michele Ryan, Monica Corwin, Nicole Morgan, Tina Donahue, and TL Reeve Buy it Here! Welcome to my page! 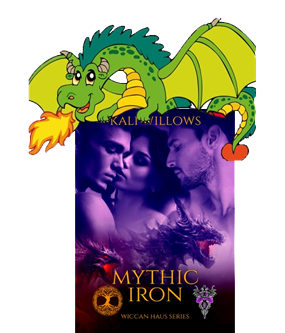 It’s our Dragon Lover’s Party and you’re invited! Happy Dragon Hunting Everyone! Follow the link below to the next guest in the list for a chance at a fantastic prize and an early sneak peek at Kali & Friends Dragon Lovers Unite! Party starts on Friday, June 16, 2017 at 3 pm EST. Follow each link until you end up back at the party! Party closes at midnight!